When you’re first looking to get a home recording rig setup or upgrading gear for an already existing space it can be very exciting but at times overwhelming, with quite literally a galactic amount of options of gear to choose from. The main hub of your home studio is going to be your audio interface. With an abundance of I/O, connectivity, control capability, DSP, software/plug-in bundles now available, we look to break things down a little to help the budding musician, producer, mixer or engineer focus on what’s most important, the music. Let’s start from the top and figure out exactly what you’re going to be recording? Are you a singer/songwriter or producer working with artists one on one? Are you going to be working with bands which might include recording a whole drum kit? Thankfully there are many affordable options (and a bunch more if you want to splash the cash) that cover all of these potential recording situations. Starting with the simplest setup, a single mic preamp and line/instrument input with outputs to connect to your speakers are ideal for the home recording enthusiast who is only going to need to record one microphone and line/instrument source at once. The robust Tascam US series of interfaces includes the US-1×2, which is a great entry-level option. The simply laid out front and back panels make it easy to get quickly acquainted with all the controls. It can also be used on an iPad and other tablets as well as Mac or Windows operated computers and comes bundled with Cubase LE recording software. For those users who need a little more input flexibility with being able to record up to two microphones at once and with the option to switch to line/instrument levels and balanced outputs for connecting to your monitors, an interface with two mic preamps is a great option. The Focusrite Scarlett 2i2 ticks these boxes as it’s simple to operate and comes bundled with some great DAW and plug-ins options from the likes of Ableton, Pro Tools and Softube to get you started quickly. Another option would be the Presonus Studio 2/4 interface. Again, a very simple to operate interface, which also includes MIDI in/out on the back panel. It also comes bundled with Presonus’s own Studio One Artist DAW and Studio Magic plug-in suite to get you going. If your recording sessions are going to include recording a full drum kit (or even if you’re thinking it could be a possibility in the future), one, two or four channel interfaces are most likely not going to cut the mustard. 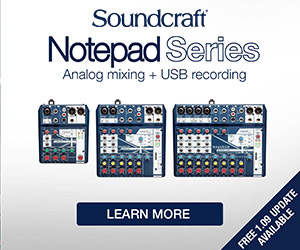 This is when you’ll need to step up to eight or more mic preamps on your interface. The Tascam US-16×08 is superbly suited for those needing a bunch of mic pres for recording multiple sources simultaneously. This model offers a total of sixteen inputs (eight Ultra-HDDA mic preamps) and also eight-line outputs for sending out to different monitors, or when paired with a headphone amp can send separate mixes to multiple musicians recording at the same time. 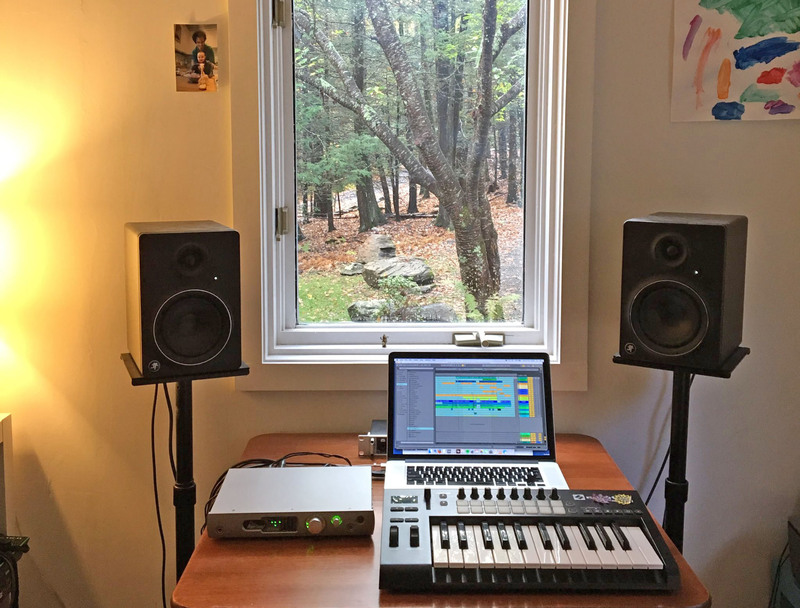 Musicians and producers are using numerous different types of technology and sources to record and produce music these days. Having your studio interface centrepiece giving you the ability to connect a bunch of different sound sources and offer several different output types can be a massive help, alleviating the need for extra equipment for connecting all your gear together and taking up valuable studio real estate. Native Instruments Komplete Audio 6 compact interface does just this, in its nicely laid out with a slick desktop-style design. 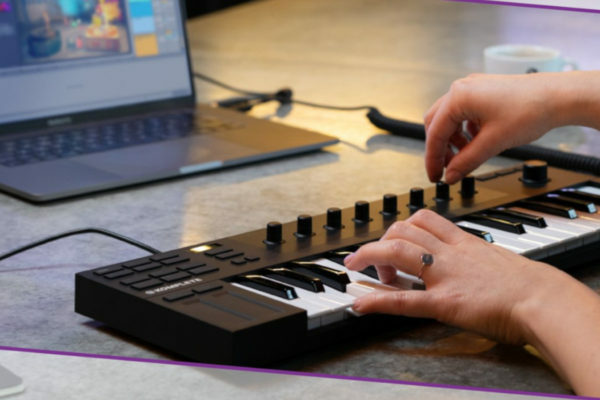 This six-channel interface has four analogue ins/outs, digital in/out and MIDI in/out, giving most home studio creators more than enough connectivity to keep creative workflow smooth and effortless. 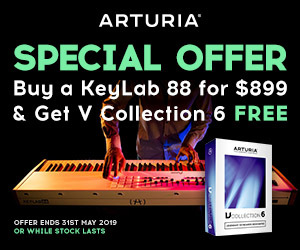 If that still isn’t enough, Audio 6 comes bundled with a whopping amount of software including Traktor LE 3, Kontakt 6 Player, Reaktor 6 Player, Guitar Rig Elements, Cubase LE 9 plus a bunch of other great plug-ins and value adds. If you like the look of the Native Instruments Audio 6 but maybe want something a little simpler, the recently announced the Audio 1 and Audio 2 interfaces are worth a look at. Both are a small form factor, simple layout and perfect for those needing to get creative ideas down fast but don’t require as much I/O as Audio 6. For those who need something that they can just about connect any piece of gear to, Arturia’s Audiofuse will do a lot of this heavy lifting. Easily the most versatile interface in terms of connectivity, as it covers off the basics of I/O comfortably and includes MIDI in/out and phono inputs to connect a vinyl player , but that’s just the beginning. 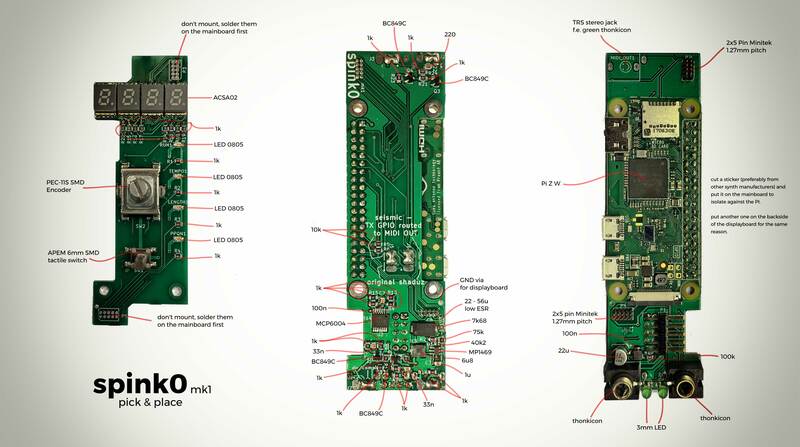 You’ve got two inserts for connecting external line-level devices (such as a compressor), Word Clock S/SDIF in/out, ADAT in/out for expanding your system (more on that later) and a three-port USB hub. A sigh of relief for many will be the two independent headphone outputs that include both 1/8” and 1/4” connections. No more frantic rummaging around for those headphone adaptors. As for control, there’s literally a button or knob for everything. Engaging 48V phantom power, phase invert, pad, mono mode, cues, output dimming, talkback mic, output selection is all readily available to control from the top of the interface. If you do need to go deeper, the included Control Centre software is incredibly intuitive and allows you to dive into more detailed functionality, including features like switching speaker B output to re-amp mode, giving you the option to re-amp a guitar part and alleviating the need for a dedicated-re-amp box, very cool. 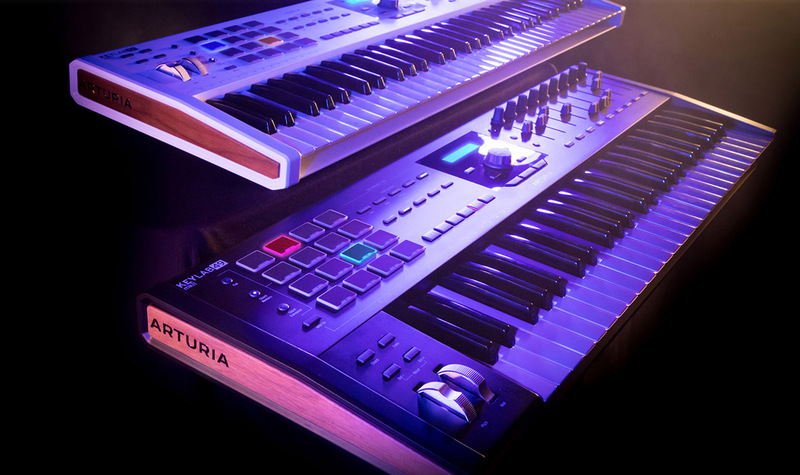 For those wanting to take things to the next level with more I/O whilst enjoying the same superb performing preamps, functionality and flexibility, the newly announced Arturia Audiofuse 8Pre and Audiofuse Studio could be the perfect solution and/or addition to your home studio setup. Audiofuse 8Pre is a desktop or rack-mountable 1U unit which (as its title suggests) boasts eight mic preamps, that can expand further by cascading two units together. 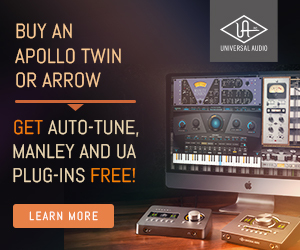 The Audiofuse Studio features four of the same world-class preamps, with insert points for each and the same flexible connectivity as original Audiofuse. As mentioned earlier, some interfaces give you the option to expand your I/O via an optical connection. This can be incredibly handy if you’re looking to scale up your system with external mic preamps to accommodate larger recording sessions, whilst maintaining the high quality AD/DA conversion your interface has to offer. Tascam’s brand new Series interfaces give you some nice options for expanding these compact interfaces into a powerful home/project studio centrepieces. The Series 102i comes with two built-in mic preamps on the front panel, with all the expected controls and on the back there’s one S/MUX supported optical expansion port, which can accommodate up to eight external mic preamps for running a total of ten inputs. The Series 208i takes this expansion a step further with two optical expansion ports, allowing up to sixteen external mic preamps to be added, in addition to the four built-in preamps, for a grand total of 20 inputs. These new interfaces also include built-in DSP effects, processing and are bunded with Steinburg DAW and IK Multimedia plug-ins including AmpliTube 4 and T-Racks mixing and mastering plug-ins. Investing in your first audio interface can seem like a daunting experience but it doesn’t have to be. Be realistic about what sort of recording scenarios you might be looking to dive into and go from there. Whether it’s simplicity, complex connectivity, eons of bundled software or the ability to expand, there are options for all. A little research of your own and/or consulting with a specialist at your favourite music store will help you get on the way to focusing on the music and less on the technical jargon of the interface world. Happy recording!